When most people think of mental illness, they think of adults. The stress of juggling a career and family obligations, along with bills, can be extremely stressful at time, sometimes manifesting itself into mental disorders. The mental health of children, however, is sometimes overlooked. 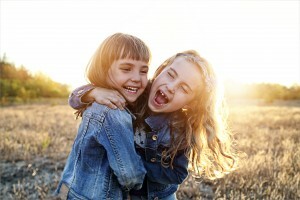 Most people assume that childhood is a happy time, and they may dismiss the fact that children often deal with stress and psychological disorders as well. In fact, according to the Surgeon General, roughly 20% of children in the United States suffer from some sort of mental illness each year. Because children typically think differently than adults and have a different way of looking at the world, traditional adult psychologists and counselors might find it somewhat difficult to treat mental disorder in children. Child counseling, or youth counseling, however, is a type of counseling that focuses on children that are diagnosed with mental disorders. Children can experience the same mental and emotional problems that adults do, including depression, anxiety, post-traumatic stress disorder, and grief. Symptoms of these disorders may manifest themselves differently in children, though. For instance, instead of becoming quiet and sullen, a child suffering from a mental disorder such as depression might have emotional outbursts or exhibit behavioral problems. There may be a number of causes for mental and emotional problems in children. These may include such things as meeting new people, divorce, death of a loved one, abuse, poverty, trouble in school, and trouble with peers. There is also evidence that some mental disorders are hereditary and caused by genetic factors. How Do I Become a Children's Counselor? To become a children's counselor you will need to go through a rather rigorous amount of schooling. This includes obtaining a Bachelor's Degree, then a Master's Degree, and finally entering into a Doctorate or PhD program. If you are serious about entering into this field of study, request information from programs available for you here. Why Do We Need Child Counselors? Childhood should be a happy time in a person's life. Dealing with mental and emotional illness, however, can put a damper on this carefree time. It can also lead to more problems during adulthood. Child counselors can help children become more mentally and emotionally stable, which can help them become healthier and happier adults. What Does a Child Counselors Do? Child counselors typically work with children to help them become mentally and emotionally stable and happy. Some child counselors specialize in certain areas, like childhood depression, attention-deficit hyperactivity disorder, or abuse. Others, however, treat a wide range of mental and emotional problems in children. They may help treat a number of mental and emotional disorders and illnesses, for instance. This is often done through something called "play therapy". During this type of therapy, children are encouraged to play games or play with toys that they enjoy. Child counselors will then oversee the children's activities, which can reveal a great deal about their emotions and feelings. Individuals counseling might be used by child counselors as well. During this type of therapy, children are often encouraged to talk about and explore their feeling. Counselors can also help children cope with and work through past problems and current challenges that they may make them feel scared, angry, or generally uneasy. Child counselors might also organize mental health workshops for children as well as small therapy groups. In order to ensure success when treating children with mental and emotional disorders, child counselors must also have open communication with the children's caregivers, such as parents or other guardians. They will often educate caregivers on what to expect during a child's recovery, for instance, as well as give them tips on how they can help during the recovery process. Where Do Child Counselors Work? Child counselors often work in facilities where there are children in need of mental health services. This often includes schools, hospitals, children's homes, juvenile detention centers, domestic violence shelters, homeless shelters, and social service offices. Like many other counseling professionals, child counselors can also usually choose to open their own private practices. In doing so, they may counsel children in their offices, or travel to the children's homes or schools. What Are the Education Requirements for a Child Counseling Career? A bachelor's degree in counseling, social work, or child psychology is often a good start for a child counseling career. However, most professional child counselors are usually required to earn graduate degrees as well. Many universities and colleges offer master's degree programs in child or youth counseling. In order to start a child counseling career, an internship or period of supervised counseling is also usually recommended. What Is the Annual Average Salary of a Child Counselor? According to the United States Bureau of Labor Statistics, child counselors are not separated into their own category and as a result, the child counselors are lumped into a larger group of "other" counselors. According to the BLS, the annual average salary of a child counselor is $47,240 with the top 10 percent of the profession earning upwards of $73,000. The top employers are obviously secondary and elementary schools, but outpatient care centers and family services centers employ a lot of them as well. Hermine Hug-Hellmuth is considered to be the first person to watch children playing in order to analyze their mental and emotional state.